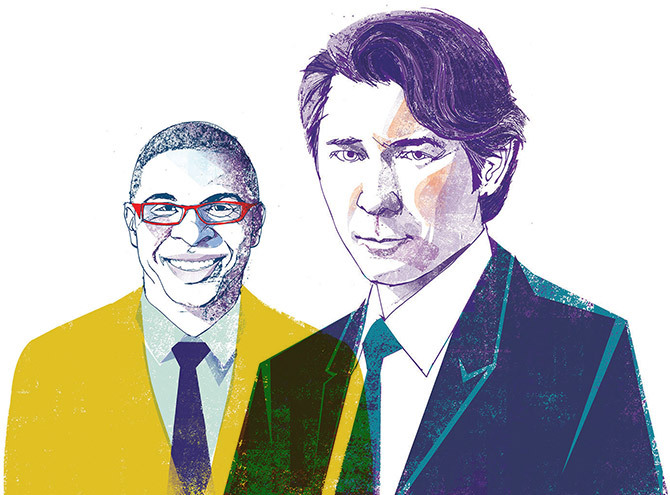 The Maverick Speakers Series got a little more Maverick this year, with a 2017-18 lineup that has featured two alumni: Lou Diamond Phillips ('85 BA, Fine Arts) and Roland Fryer ('98 BA, Economics). Phillips has enjoyed great success as an actor, director, writer, and producer. The La Bamba and Stand and Deliver star returned to UTA in September to talk about his career. After graduating from UTA, Dr. Fryer went on to earn his PhD in economics from Penn State University. He's currently the Henry Lee Professor of Economics at Harvard University. His lecture covered his research into fixing education in America. Local entrepreneur and privately funded space explorer Anousheh Ansari made her Maverick Speakers Series appearance in October. She detailed her journey to space—from her early life as an Iranian refugee to developing her own company, Prodea Systems, to reaching the International Space Station. If you haven't had a chance to enjoy a Maverick Speakers Series lecture this season, Michael Pollan, best-selling author and sustainable food advocate, will visit UTA in late February. In March, Gretchen Carlson—broadcast news anchor, journalist, and TV host—will close out the 2017-18 season.